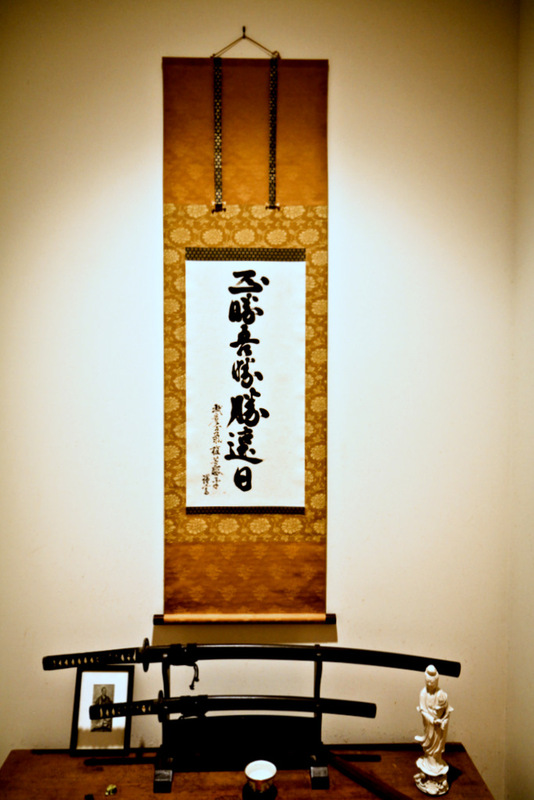 Artscapes provided comprehensive project management services to a client who wished to have this extraordinary piece of Japanese calligraphy restored and mounted using traditional materials and methods. Private collection. Do you need help with an art preservation project — but don’t know where to start? Artscapes offers an ‘A-to-Z’ service that can manage all aspects of your particular project. If you are dealing with a large collection or have artwork that is especially rare or fragile — or if you simply prefer a streamlined solution — our ‘integrated services’ approach is ideal. Services can include coming to your home or site to provide an assessment, overseeing any conservation needs, reviewing a choice of framing treatments via email, and much more. Costs for this service may be included in a framing project or be applied at an hourly rate or flat fee, depending on the scope of work involved. And, your project may not necessarily even require any framing-related work. Case in point: A busy client came to us with a treasured, but damaged, calligraphy piece that he had long wanted to have mounted as a hanging scroll using traditional Japanese brocade and mounting materials. However he was not sure where to start and did not have the time to invest in ensuring the project was done to his high standards. Artscapes handled all aspects of the project, including picking up the piece, taking measurements for where it would be displayed, assessing its condition and preservation needs, choosing the best art conservator and scroll mounting specialist, couriering the piece for mounting, and finally delivering the completed piece and installing it. The client knew he could count on our expertise and our network of specialists, and was extremely pleased with the results. ›› Art inspection and Preservation: We work with top art restorers and conservators. We can assess and oversee the cleaning, restoration, and preservation framing of your artwork. ›› Collections Restoration: If you have a number of pieces that need to be assessed, repaired, or reframed, we are able to coordinate all aspects of putting your collection in superb shape. We have worked with many private collectors who have come to us for this purpose, including repairing damage inflicted by non-archival methods and materials. ›› Challenging or Unusual Projects: We can take care of the details in handling oversize artworks, memorabilia, and fragile works on paper. 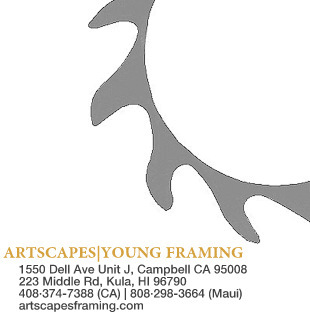 Please call Artscapes’ owner Glenn Young at 408/374-7388 (CA) or 808/298-3664 (HI) to discuss if this type of service fits your needs, or email us.